The worlds of sales and marketing have been utterly transformed by new technologies and business models – and yet go-to-market strategies have not kept up. Big Data has enhanced both opportunities and complexities for sellers. The internet has empowered the buyer and changed the role of the salesperson. And the subscription has transitioned the focus of go-to-market teams from customer contract value to customer lifetime value. 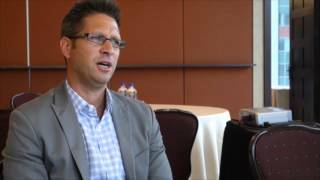 Mark Roberge, a leading authority on modern revenue generation, is an inspirational practitioner with proven success in building businesses from the ground up, harnessing the power of all things digital in the process. 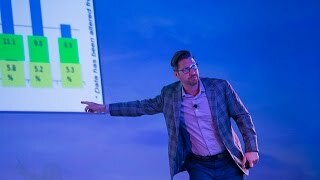 The former (and founding) chief revenue officer at HubSpot, and now a full-time professor at Harvard Business School, Roberge helps companies build data-driven, 21st century strategies for sales, marketing, growth and human resources. At the vanguard of a revolution in sales, Roberge illustrates how sales can be transformed into a more predictable, scalable function through modern technology and data accessibility. 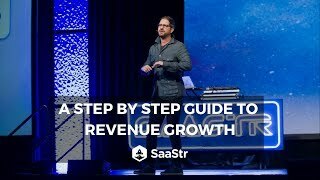 In his book, “The Sales Acceleration Formula: Using Data, Technology, and Inbound Selling to go from $0 to $100 Million” (Wiley, February 2015), Roberge used his own experience at HubSpot – where he helped transform the startup into a unicorn valued at over $5 billion – to outline his unique formula for quantifying and scaling sales. The digital age has fundamentally altered the way buyers think and act. Roberge explains how businesses can transform their go-to-market strategy to align with this new buyer context, including sales hiring, demand generation, sales playbooks, sales compensation, sales management and more. 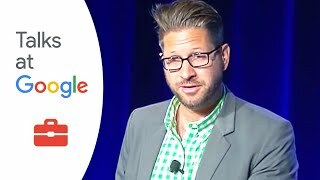 As a speaker and consultant, Roberge instigates and inspires strategic change across industries. A senior advisor for Boston Consulting Group, Roberge actively advises Fortune 500 leaders on modernizing their sales and marketing departments. He is also a venture capitalist, angel investor and board member of dozens of startups. Roberge was ranked #19 in Forbes’ Top 30 Social Sellers in the World, and awarded the 2010 Salesperson of the Year at the MIT Sales Conference. He is a graduate of MIT Sloan School of Management, where he received his MBA, and he holds a bachelor’s in mechanical engineering from Lehigh University. A major thought leader in entrepreneurial management and sales, he has been featured in leading publications, including The Wall Street Journal, Forbes, Inc., Boston Globe, TechCrunch and Harvard Business Review. Mark Roberge is available for paid speaking engagements including keynote addresses, speeches, panels, conference talks, and advisory/consulting services through the exclusive representation of Stern Speakers, a division of Stern Strategy Group®. Companies have access to exponentially greater amounts of data than ever before – and yet they are not sufficiently making use of it. Seeing the opportunity for companies to harness this data, Roberge developed a data-driven approach to hiring, training and managing talent for HR executives and functional leaders. 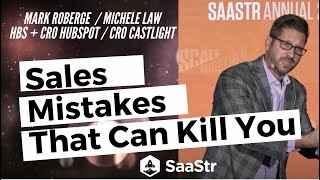 Using this approach, Roberge hired more than 500 employees, scaling HubSpot from a startup out of MIT to a publicly traded company. In this presentation, Roberge illustrates the detailed tactics he used in sourcing, hiring, training and onboarding talent, as well as the linkages between these talent management stages. He also explains how these concepts are applicable to roles beyond sales, including engineering, marketing and customer service. It is a cliché to discuss the power and opportunity of social media platforms in generating interest in and demand for products and services. And yet, most salespeople fail to understand how to use those platforms in a methodological and consistently successful way. According to Mark Roberge, “social selling” is often merely substituting internet spamming for cold calls. 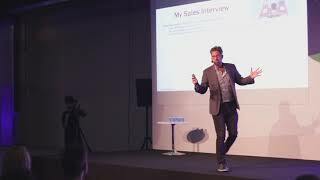 Now, Roberge has utilized his experience in developing successful sales formulas to fashion a new methodology used by 65,000 sales people daily for social selling, one that turns a digital crapshoot into a precise science. In this presentation, Roberge reveals how you can end digital cold calling and start building your own demand. Social selling is how businesses, especially startups, are going to generate success in years to come. It’s essential to understand how to harness the opportunities afforded by these platforms rather than merely becoming another irrelevant and ignored voice among millions of others. Sales and marketing have been transformed by the internet, but established organizations have not always adapted. Today’s startups are disrupting incumbents because they reach customers where they are – online – rather than at trade shows, through traditional media or with travelling salespeople. As dynamism is the key to survival in the digital era, sales teams need to be able to disrupt their own companies before a competitor does. Sales and marketing expert Mark Roberge shows your company how to experiment with new capabilities and develop high-velocity, cross-functional internal sales teams at minimum risk to the broader organization. Roberge draws on his background with HubSpot and as a consultant with Boston Consulting Group to reorient firms’ sales teams from the comfortable (but unsustainable) to engaging in constant testing of new ways of reaching and converting customers.